Hello, we are Peter and Elly van der Veen. Welcome to our web site. We emigrated from Holland together with our kids, Eline, Lisa, Marleen, Ilze, Pieter and Harold in April 2002. 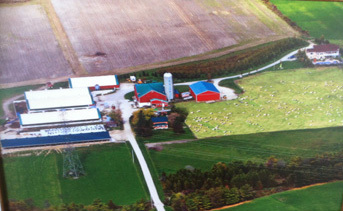 In 2002 we bought a 215 acre farm with a little house and a bank barn in Grand Valley On, Canada. 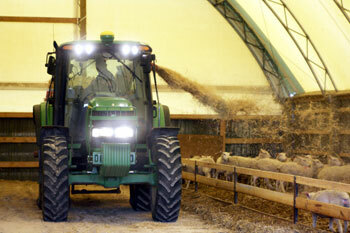 We began our farming in Canada by raising pigs and sheep. We soon realized that sheep were far more profitable and in May 2008 shipped our last pigs and expanded our flock of sheep. 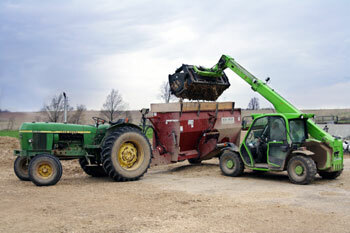 We now have aproximately 1000 Rideau Arcott breeding ewes and 20 Rideau Arcott breeding rams. 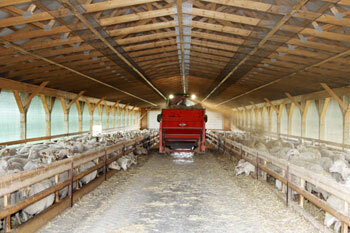 In 2010 we expanded once again, building another barn so we are able to feed our open ewes and replacement sheep in the winter inside. 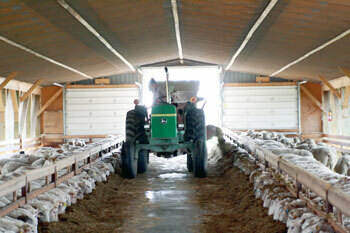 We have turned 1/2 of our storage barn into a barn for breeding stock. 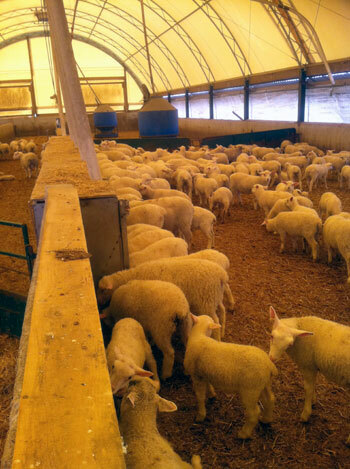 We built an addition between the two lambing barns for our automatic milk-drinking system and a recovering room for our young lambs. 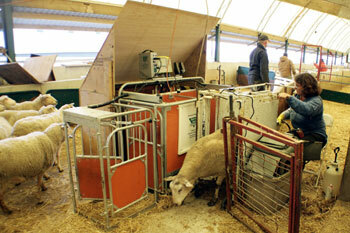 We purchased our sheep from a closed and certified scrapie-free farm. and follow the 5 star breeding program. We finish off our ram lambs at between 100 and 120 pounds. And perhaps our most important product are our ewe lambs which we sell as breeding stock. As we thoroughly understand the business of sheep farming we are in a postion to offer our consultation services regarding the raising and caring for sheep which you can read more about under our More Information Section above.